China’s ban on imports of plastic waste is forcing other nations, including Japan and the United States, to scramble for new ways to deal with their trash, including exporting recyclable waste to Southeast Asia. The ripple effects of developed nations being banned from shipping their scraps to China, previously the world’s biggest importer of plastic waste for recycling, have also surfaced in Japan. “The storerooms of intermediary companies are filled to the brim with garbage from businesses and factories,” said one official at a waste management company in Kanagawa Prefecture. But after decades of importing most of the world’s trash, China has said “enough” — something advocates and activists say should come as no surprise since China has an obligation to consider the health of its people as the second-largest economy in the world. For decades, nearly half of the planet’s rubbish had been sent to China, where items such as pop bottles, food wrappers and plastic bags are recycled to make more plastics and raw materials for chemicals. 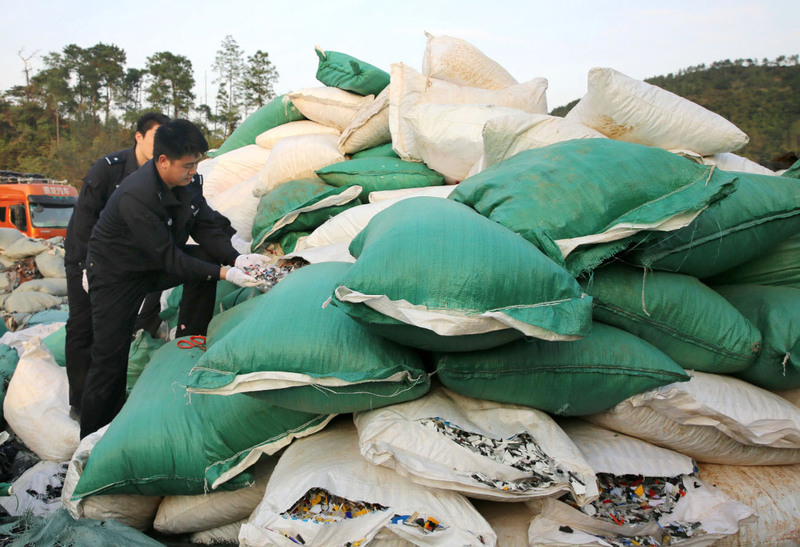 In 2015, China imported about 47 million metric tons of recyclable waste, according to U.S. media reports. The journal Science Advances says research done at the University of Georgia shows that China’s import ban will leave 111 million metric tons of plastic trash displaced by 2030. In July last year, China said it would ban 24 types of solid waste, including plastics, scrap paper and discarded textiles, from overseas vendors because of the damage it does to the environment and people’s health. Countries feeling most of the sting brought the import ban up at the WTO’s meeting Oct. 22. Along with the European Union, South Korea, Canada and Australia, the U.S. voiced concerns that China has not given a sufficient explanation for its policy change. Washington argued that if the disruption of the global recycling trade continues, there “could be a heightened threat of increased marine litter,” among other complaints. Japan also expressed its concern over the recycling crisis. 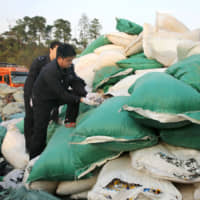 China, however, has doubled down, saying it plans to expand its import ban on scrap materials to cover more categories. It says that waste facilities that don’t meet environmental standards are still rampant, leading to water and air pollution. “The problem of foreign garbage is loathed by everyone in China,” an official in charge of international cooperation at China’s environmental protection ministry said at a press briefing when the ban was first announced. Since China’s ban, exports from the U.S. and other Western nations to countries like Malaysia, Vietnam and India have surged. But after it was revealed in October that a large amount of illegal dumping had occurred in Malaysia, many developing nations have hinted they intend to follow in China’s footsteps with their own restrictions on recyclable waste. At any rate, the policy is forcing rich nations to reconsider what to do with their waste in the long term now that they can no longer dump their scrap waste in China’s backyard.